"Two Faced" - by Trevor Pottelberg, features one of my most unique waves to date. 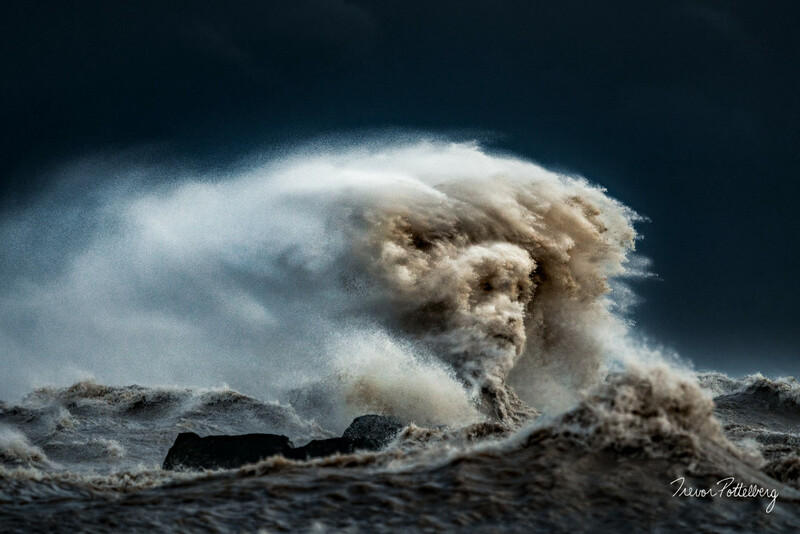 If you let your imagination run wild, you should be able to make out two distinct faces in the wave. Spoiler Alert: For those who don’t want to spend hours trying to find them both, I’ll give you a tip. Find the smaller face first. Then look at the overall wave and use the eyes of the smaller face as nostrils for the larger face.